This is some serious facial scarification sent in by alfredote. See more in skin removal scarification. 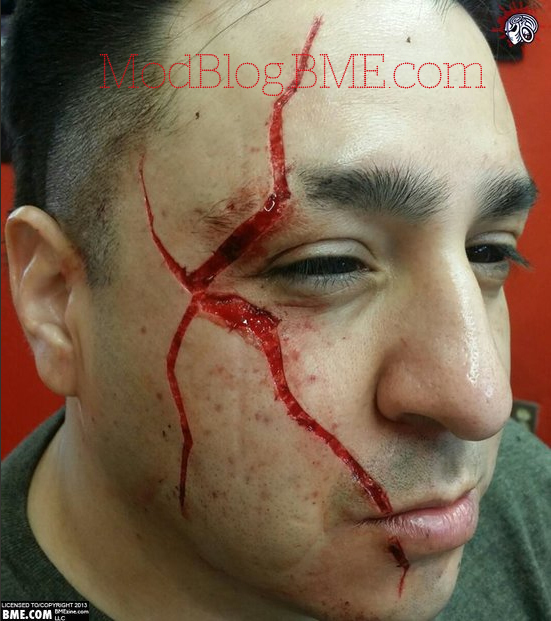 This entry was posted in ModBlog and tagged Eyeball Tattooing, Facial Scarification by BME. Bookmark the permalink.